Our Incinerator is an effectual method to overcome the waste management problems from the hospitals to industrial sectors. 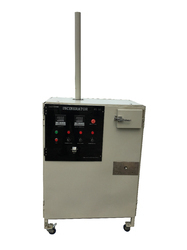 We are well reckoned as one of the distinguished industrial incinerators manufacturers based in India. 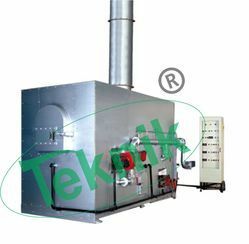 Paper Electric Incinerator offered by us is eco friendly in nature, thus assure total incineration without any residue. Our Paper Electric Incinerator meets the emission standards of the Pollution Control Board. Incineration chamber temperature = 800 degree. Constructed with top quality aluminium oxide refractory bricks, with top quality castables, hearth clay and mortars Secondary chamber wherever the venturous gases and toxics and different volatile substances area unit fully burned. Cremation ashes dispose of time: inside three hours from the completion of a incineration. Cremation time per body: sixty to ninety minutes. 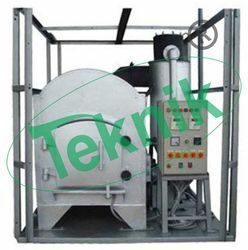 We are one of the leading manufacturers and suppliers of high quality of Municipal Waste Incinerator. These waste incinerators are used to dispose food waste, plastics, glass, metal, stones, agro waste, cotton waste, liquid, solid, and semi-solid waste. 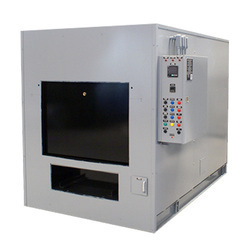 These incinerators can be customized as per requirements depending upon the required capacity and the kind of waste. These products are highly appreciated for their automatic waste feeding system with hydraulic power pack. We provide fuel efficient technology for low cost waste burning. When you want to manage a very large quantity of waste, the question of heat recovery, municipal waste refuse derived fuel plant, fuel pellets, municipal waste compost plants (waste to compost plant), bio gas plant, methane gas & electricity generation plant, power generation with incineration, etc. is very natural. We also provide such waste management services as per the requirements.